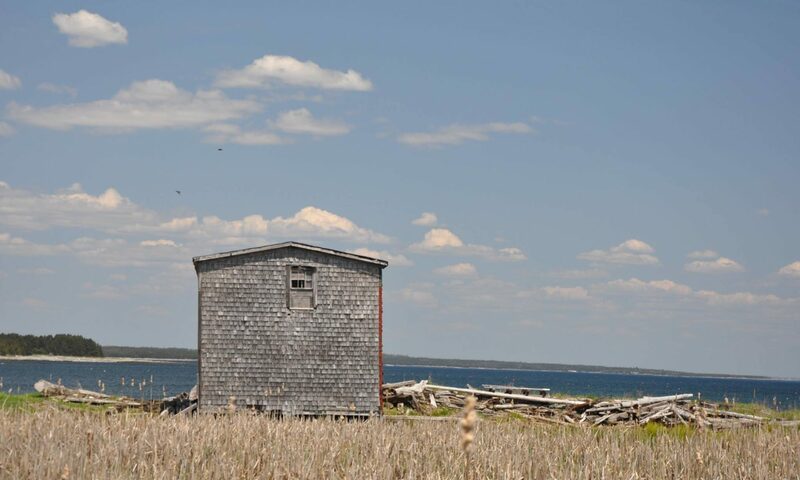 Big Tancook Island is home to many adults and children who have developed a culture of caring for and about others – in little ways and big ways. One small way in which we feel we can spread this culture of caring is through our “Tancook Wishing Stones” project. A wishing stone is a magical stone or pebble that is found on the seashore and has a white quartz ring on it somewhere. The ring must be complete with no breaks or pauses in the circle it forms. The ring can be crossed by other rings, but must have no beginning and no end in order for the magic to work. When you find a wishing stone, stand by the seashore, hold it in your hand, close your eyes and make a silent wish. Once you’ve made a wish, throw the stone as far into the sea as you can. We will leave baskets of Tancook Wishing Stones in hospital waiting rooms throughout the province. Each stone will be packaged in a small fabric bag with a card explaining the idea behind a wishing stone and encouraging people to leave a comment on the Tancook Wishing Stones website telling their story. People who spend time in medical waiting rooms often feel worried or alone. Our goal is to spread some cheer and enchantment for patients and their family members with this project. If you would like to help with this project, please keep an eye open for wishing stones as you stroll along the shore. Or, if you know of a location where we can leave a basket of wishing stones, please let us know.